Help us prove tire dumping is STILL a problem! Tires are one of the most commonly found items during CRC’s annual Source to Sea Cleanup. Tire manufacturers insist the tires we find are old and that dumping is no longer a problem. Sign our petition urging tire manufactures to take more responsibility for the recycling and reuse of the tires they make. Submit photos of the tires you find to our photo contest (we’ll use them to show decision-makers how big the problem is). 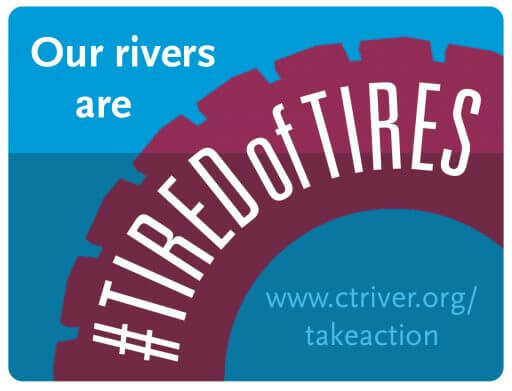 Share your photos online using #TiredOfTires. And attend one of CRC’s Trash Talk events to learn more about what you can do locally to make a difference.